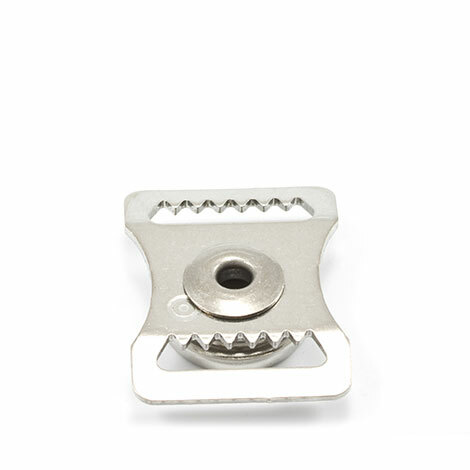 1/2" Dot® Brand Durable Slide - Stainless Steel is a threaded toothed webbing adjusting buckle with a line 24 snap socket attached. 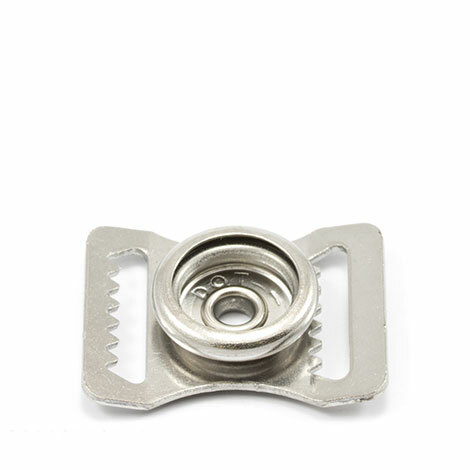 This buckle will except 1/2" webbing without bunching or binding. The socket fits all our snap studs except baby snaps.